You can jump to a new window by changing the content view. Yes, then it will jump to a new window, after the action completes, my code will call "finish();" from the sub-activity. Then it will jump back to the main window. I went to Lamington National Park. I took some video. That sounds my camorder works much better in day time. The image is very sharp! There is a big IT Gadgets event held in Las Vegas not long ago. That is the International Consumer Electronics Show(CES). I think that is a good time for the companies releasing their new phones. HTC released their new phone,HTC Smart, in there. This times is not Windows Mobile, and not Android. This is a Qualcomm BREW platform phone. That is quiet surprise. Now, HTC has phones on three platforms. What is their plan now? After Google released their own phone manufactured by HTC. I thought HTC will be close with Google and concentrate on Android platform. But now, new phone released on an OS. There is a weakness. The software comes with the package is HD Writer. 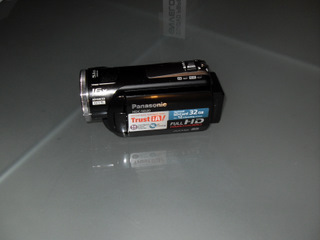 It has the basic video editing functions, such as adding title and transition. I can't find it to some more advance stuff, such as lightings. Well, that comes with the packages, I did not ask for much functions. I looked around some "professional" video software. The first software I tried is Corel Video Studio. That got very nice inteface, and a lot of friends recommended it. But it seems to be not support AVCHD, which is the format my cam using. Then I found Pinnacle HD Studio Ultimate. It supports this format and the interface is nice. There are a lot of built-in special effects!